Despite appearing in more than 100 films in a career that has spanned for than fifty years and receiving six Academy Award nominations (two wins), Michael Caine has finally left his mark on Hollywood. Literally. Today Caine left impressions of his hands and feet in the cement outside the famous Grauman’s Chinese Theater in Hollywood. Only 192 Hollywood stars have received this honor since 1921. It’s amazing what you can find on youtube. Here is a clip of Stanley Donen accepting his lifetime achievement Academy Award in 1998. This is how out of it I’ve been. I just realized that the Golden Globes are in two months and I have absolutely no idea what movies are being released in the next two months. But enough about me and more about the 65h Annual Golden Globes. The Hollywood Foreign Press Association announced yesterday that Steven Spielberg is the recipient of the 2008 Cecile B. DeMille Award. Spielberg has received six Golden Globes; for Best Director for Schindler’s List and Saving Private Ryan,” or Best Motion Picture (Drama) for E.T., The Extra-Terrestrial, Schindler’s List, and Saving Private Ryan; and for Best Foreign Language Film For Letters From Iwo Jima. He received 12 additional Golden Globe nominations; eight as Best Director for Jaws, Close Encounters of the Third Kind, Raiders of the Lost Ark, E.T., The Extra-Terrestrial, The Color Purple, Amistad, A.I. : Artificial Intelligence and Munich, three as a producer on Best Motion Picture (Drama) nominees The Color Purple, Empire of the Sun, and Amistad,” and one for his screenplay for Close Encounters of the Third Kind. Since Steven Spielberg is going to receive every lifetime acievement award that exists in the entertainment industry, he might as well start getting them now. It’ll take 10 years for him to receive every single one. Also announced by the HFPA yesterday, Rumer Willis, the spawn of Demi Moore and Bruce Willis will be this years Miss Golden Globe. Best Actor in a Television Series (Comedy or Musical) for Moonlighting. Yay… there is nothing I’m looking foward to more than presence of Rumer Willis at the Golden Globes. Excuse me while I jump with joy. This is by far the best news of the week. HFPA President Philip Berk along with Actor James Caan announced on Wednesday November 15 that five time Golden Globe winner Warren Beatty with receive the 2007 Cecil B. DeMille Award at the 64th Golden Globe Awards on January 15. I can’t think of a better actor to receive a Lifetime Achievement Award. The first time I saw Bonnie and Clyde, I fell under the Warren Beatty spell. And what a great spell it is. Reds. Splendor in the Grass. Shampoo. 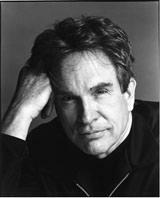 Bulworth. McCabe and Mrs. Miller. 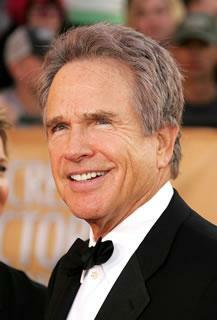 Warren Beatty is the best! The 64th annual Golden Globe Awards nominations will be announced on December 14th. For more information about the upcoming award show, visit the Hollywood Foreign Press Association’s website.